War Grave Register notes: CAMPBELL, Tpr. Douglas Dunmore, 797. 2nd Australian Light Horse. Killed in action 4th Aug., 1916. Age 23. 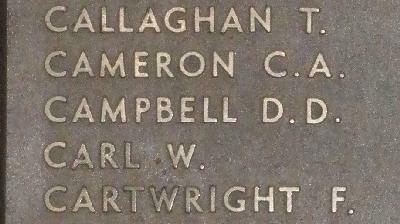 Son of John Dunmore Campbell and Mary Campbell, of Donatello, Riverton St., Clayfield, Brisbane, Queensland. B. 63.